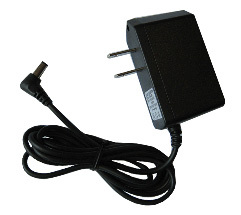 This product has been discontinued and replaced by part XS1200 which has better performance and stability. 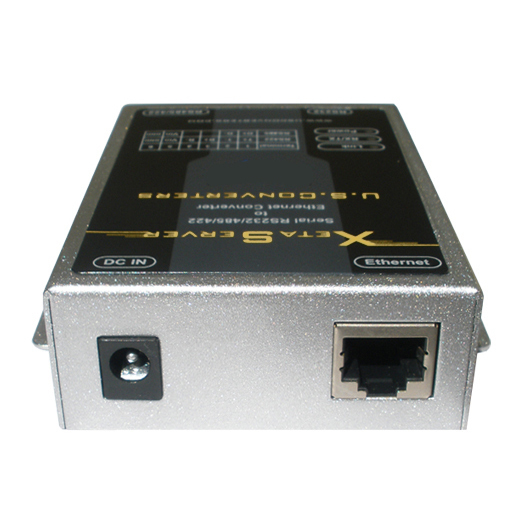 A serial to Ethernet converter, also called a Serial Device Server (because it can be assigned an IP address), is an ideal solution if you want to communicate with a serial device over an existing Ethernet network. 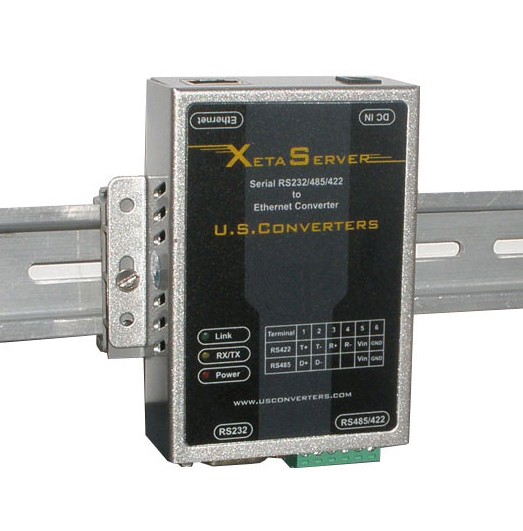 It will allow you to communicate with a remote serial RS232, RS485 or RS422 device over a Ethernet cable as if the serial device was connected directly to your computer. After installing the included driver software a virtual COM port will be created in your computer's Device Manager which can be used as if it was a standard built-in serial COM port. When you connect your serial device to the serial to Ethernet converter at the remote end of the Ethernet network you can point your application software to use the virtual created serial COM port and then communicate with your serial device as if it was connected directly to a local serial COM port. 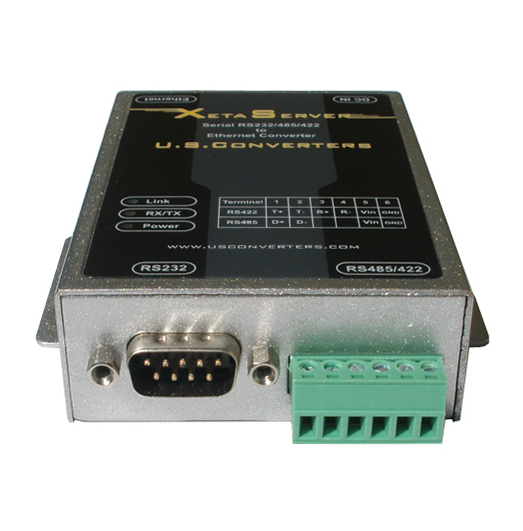 This serial to Ethernet converter is a good all-round cost effective converter which has the most commonly used basic features and functions. It is compatible with the majority of serial devices on the market. 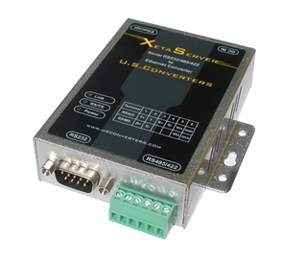 The converter works out of the box with default parameters however if you need to change some of the parameters to match your serial device or network the parameters of this serial to Ethernet converter can be configured through a standard web browser or with the included utility software. 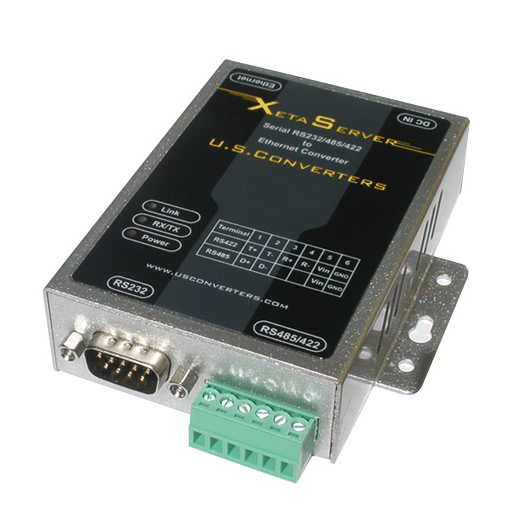 So, if you are looking for a good cost-effective serial to Ethernet converter with all basic functions then the XS1000 is what you need.